"Dr. Shanthi is amazing! She has a wealth of knowledge and can handle all skin problems." "Dr. Colaco knows her stuff. I would recommend her to anyone!" "Skinstyle Dermatology is beautiful and immaculate." "Great place to get your skin treated!" "Five stars is not a high enough rating. Skinstyle Dermatology is the best!" "Dr. Colaco is the best doctor in Los Angeles for cosmetic procedures. Hands down! " 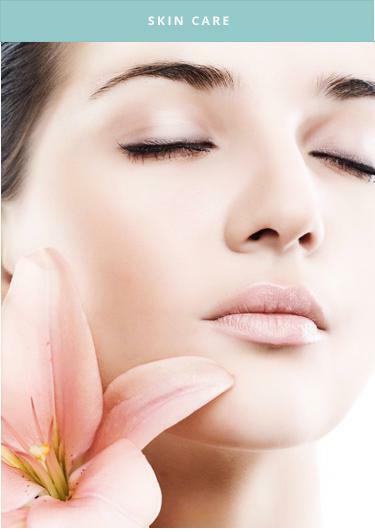 Strong, beautiful skin gives us the confidence to shine, and skin health plays a vital role in our overall well-being. Whether you have an irritating rash, an unwanted or worrisome mole, or simply want to feel better about the way your skin looks, I want to help. Once you have a good understanding of the problem and treatment options available to you, together we will make the best decision for your skin. No rush, no stress. All questions and concerns are welcomed. Disorders of skin, hair, and nails are addressed with emphasis on prevention and early detection. This focus applies not only to medical dermatology, but also to cosmetic dermatology. My personal philosophy is that it’s best to make small enhancements along the way in order to prevent having to make larger corrections later on. Fortunately, we have an array of minimally-invasive treatments proven to provide natural looking results. We designed our office with an ideal balance of beauty and function in mind, just like our goal for your skin. A fun, modern approach with natural organic elements and tranquil tones make a comfortable and inviting sanctuary where serious state-of-the-art skincare treatments take place. We think you’ll love it! At Skinstyle Dermatology, my staff and I genuinely appreciate your trust and confidence and we look forward to working together with you to reveal your best skin. Patients who want serious skin care and state-of-the-art technology that’s perfectly balanced with a relaxed, comfortable environment and personalized treatments, turn to Shanthi Colaço, MD, FAAD. Dr. Colaço and her experienced dermatology team at Skinstyle Dermatology in the Culver City area of Los Angeles offer effective treatments for a variety of skin conditions. As a board-certified dermatologist specializing in both general and cosmetic skin care, Dr. Colaço offers patients of all ages top-notch dermatology services in a chic, boutique environment where patients are considered part of an extended family. Before earning her medical degree, Dr. Colaço graduated with honors with an undergraduate degree in molecular and cell biology and a minor in music from the University of California, Berkeley. After completing a year of research at the Mayo Clinic in Rochester, Minnesota, Dr. Colaço went on to earn her medical degree at the prestigious University of California, San Francisco. 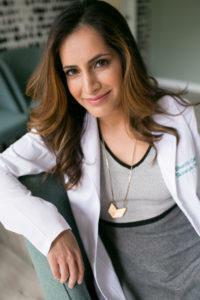 She completed her dermatology residency on the East Coast at Columbia University Medical Center in New York. After her residency at Columbia, Dr. Colaço continued as a volunteer clinical faculty member, teaching and mentoring students while practicing medical and cosmetic dermatology in Manhattan. A few years later, she relocated and joined the staff at Kaiser West Los Angeles. Dr. Colaço has trained with some of the most reputable and innovative dermatologists and cosmetic surgeons in the country. She stays up-to-date with advancements in dermatology to ensure that she offers men and women of all ages the most effective and sophisticated skin treatments available today. Dr. Colaço’s commitment to her patients is to help everyone feel comfortable in their own skin, whether it’s getting acne under control, addressing melasma during pregnancy, or treating the signs of aging. When not at the office, Dr. Colaço spends time with her husband and two children. She also enjoys playing the piano and guitar, and singing, and loves traveling, cooking, and eating. Different variations of oral supplements – both pills and liquids – have been popping up on the radar. They say wisdom comes with age… but unfortunately, so do wrinkles! Why do we all eventually get wrinkles? With the summer in full swing and temperatures rising, we’re enjoying spending a bit more time outside. "Dr. Colaço and her staff are absolutely wonderful! It’s always uneasy walking into a new office, but they made me feel comfortable immediately." "I've never seen a dermatologist before but I couldn’t imagine going to a better place." "Dr. Shanthi Colaco and her staff are great! Dr. Colaco is very knowledgeable and did wonders with my skin. Methodically cleared my acne and eased my eczema." "They are very kind and helpful... I went for severe acne and Dr. Samira gave me a clear understanding of what she was doing. Highly recommend this place!"